The Florida Senate has reportedly approved a measure that would end permanent alimony in the state. Senate Bill 718 would limit the number of years spousal support may be collected based upon the length of a couple's marriage. In addition, the measure would allegedly allow existing permanent alimony awards to be revisited using new spousal support standards. Although a similar measure is still being considered by the Florida House, it appears likely that permanent alimony laws in our state will soon change. 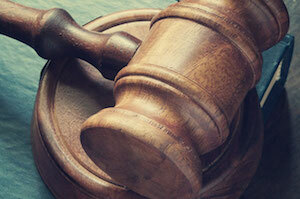 The proposed law could have a dramatic impact on everyone who is affected by a Florida divorce. Current Florida law requires divorcing couples to engage in mediation, and an increasing number of former couples are reportedly opting to collaborate on a marital settlement agreement. Unfortunately, divorcees who negotiated for long-term spousal support instead of property in the past are allegedly concerned that they may be faced with losing their permanent alimony in the future. Although permanent alimony may be awarded to either spouse following divorce, many Florida women apparently oppose the proposed measure. Data from the United States Bureau of Labor Statistics found that men over age 35 earn about 25 percent more pay than women of equivalent age. In addition, the Census Bureau claims women lose about 37 percent of their income following the end of a marriage. For men, that number is reportedly approximately 22 percent. 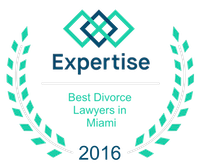 In the State of Florida, a family court may award spousal support following a divorce based on a number of factors. The length of the former couple's marriage, each party's current financial situation, and the overall marital history can be taken into account. Additionally, a Florida judge may award alimony on a temporary or permanent basis for a number of reasons. Generally, any alimony award issued in Florida will be based on both the financial need of one former spouse and the ability to pay of the other. Obtaining a spousal support award can be complex. If you are in the midst of divorce in Florida, you should contact a quality family law attorney to help you protect your rights. Because family is important, the hardworking lawyers at the Law Firm of Vilar Law, P.A. focus their practice exclusively on family law matters. At the Law Firm of Vilar Law, P.A., our experienced attorneys are available to assist you with all of your family law needs, including spousal support agreements, child custody and support, legal separation agreements, complex divorces, equitable distribution, paternity, post-judgment enforcement and modification, prenuptial contracts, and domestic violence. The Law Firm of Vilar Law, P.A. represents clients who are located throughout the Miami area. To discuss your alimony or other family law issue with a caring advocate, do not hesitate to give attorney Patrick Vilar a call at (305) 373-8000 or contact them through the law firm's website.